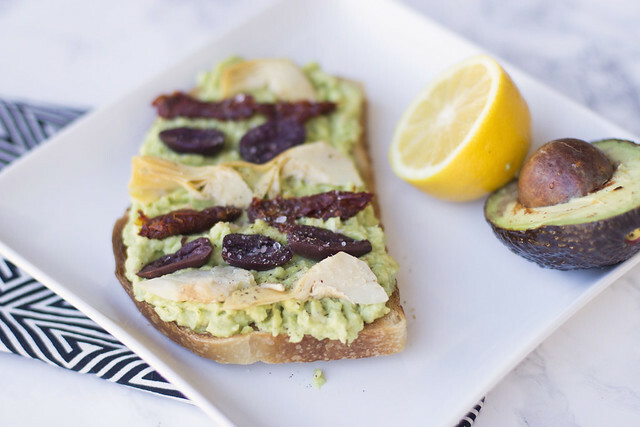 Avocado toast is my all-time favorite snack, so I’m constantly trying new variations to keep things interesting. 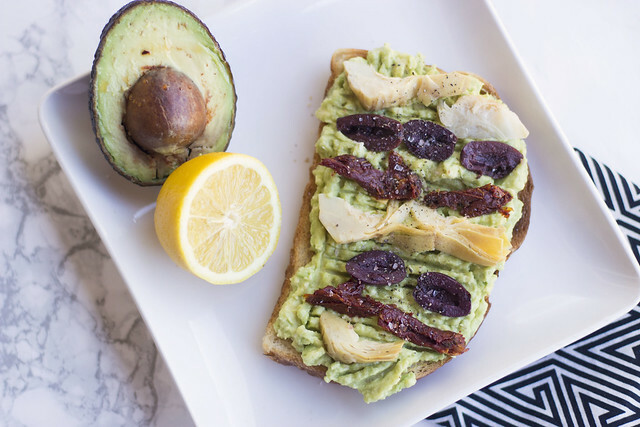 I pretty much love any sort of Mediterranean-inspired topping, so I decided to put them on my latest avocado toast creation. I love the combination of flavors and think they give the snack a heartier feel – it’s perfect as an open-faced sandwich for lunch, or you could even put it on little crostinis for a party appetizer. 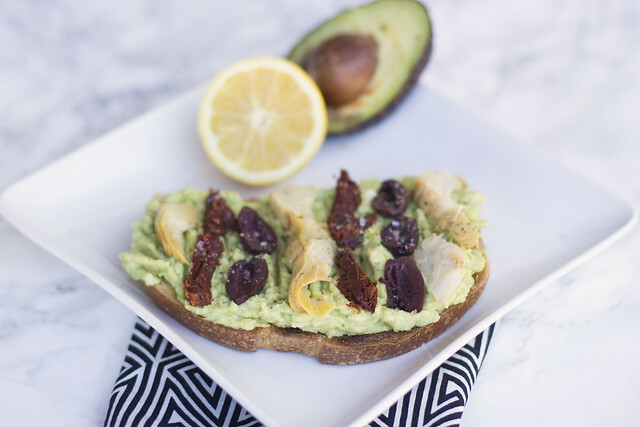 While the bread is toasting, mash avocado with a squeeze of lemon juice in a separate bowl. 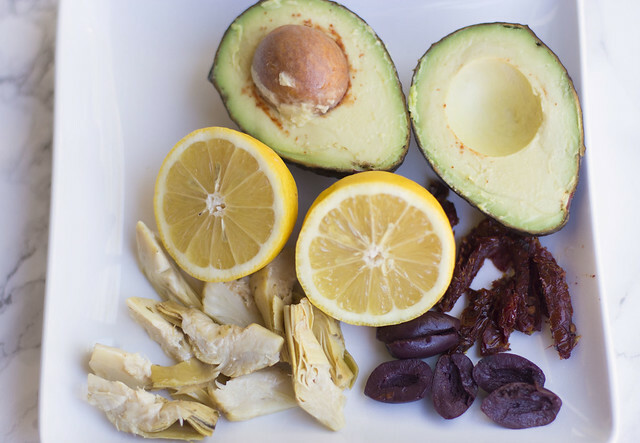 If the olives, artichoke hearts and sun-dried tomatoes are not pre-sliced, slice them now. Once the bread is toasted, spread the avocado evenly onto the toast. Add the toppings in the desired arrangement. Mmmm, this is so perfect, love this kind of snack and I eat something similar almost on daily basis!